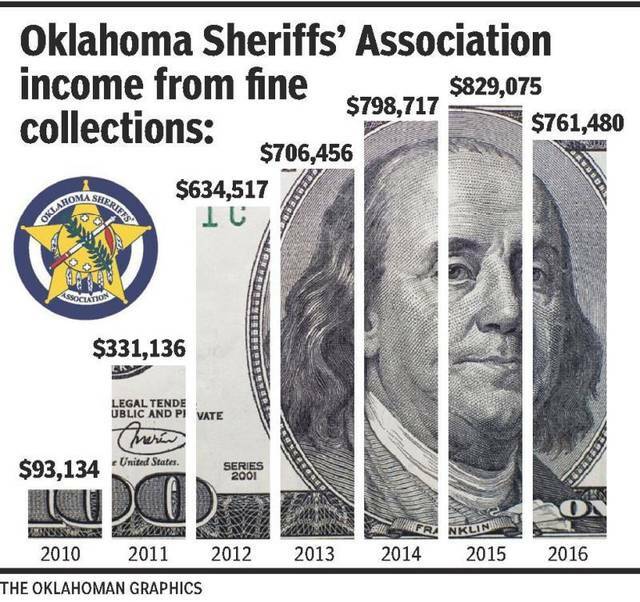 Since 2010, sheriffs across Oklahoma have used bail collection as a means to wage war on the poor and to enrich themselves. 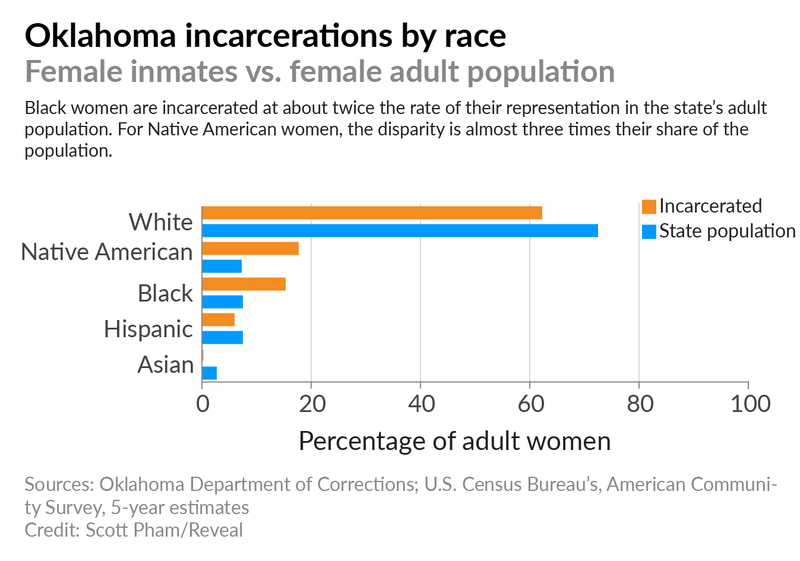 That helps explain why Oklahoma is the Number One incarcerator of women in the United States, disproportionately Black and Native American, and Number Two incarcerator of men. Last November, Ira Lee Wilkins, an indigent Tulsa resident, sued to stop the fine and cost collection system. At that time, Wilkins had two local attorneys. On February 1, 2018, an amended complaint was filed. Ira Lee Wilkins has been joined by Carly Graff, Randy Frazier, David Smith, Kendallia Killman, Linda Meachum, and Christopher Choate. Two national criminal justice law firms joined two attorneys. Together these women and men are saying NO! to a system that converts the most vulnerable into walking ATMs. In so doing, they join those in Texas challenging fine collection systems, and those in Tennessee, Mississippi, and Georgia who have successfully challenged the cycle. The time to shut down debtors’ prisons and jails is long past. While the stories of the complainants are heartrending, the real story here are the plaintiffs, in particular the Oklahoma Sheriffs’ Association and Aberdeen Enterprizes II, Inc. In 1991, the Oklahoma Sheriffs’ Association was formed as a private entity, and was almost immediately drenched in scandals involving embezzlement. Then, the Association’s world changed. In 2003, it was allowed to have a role in misdemeanor fine collections. In 2010, that role was expanded to include felonies and traffic tickets. At the end of 2009, the Oklahoma Sheriffs’ Association had $40,686 in the bank. At the end of 2016, that number was $2.8 million. Aberdeen Enterprizes was founded in 2006 “by a disbarred attorney after he was released from federal prison for bankruptcy fraud.” According to the suit, “Aberdeen Enterprizes II, Inc. (“Aberdeen, Inc.”) is a for-profit Oklahoma corporation registered to do business in Oklahoma. Aberdeen, Inc. contracted with Defendant Oklahoma Sheriffs’ Association to collect court debts owed in court cases arising in 54 counties throughout Oklahoma. The Agreement provides that Aberdeen, Inc. receives a percentage of the money that it collects. Aberdeen, Inc.’s cut of the money that it collects constitutes Aberdeen, Inc.’s sole revenue source.” Aberdeen’s cut of the money is the only money Aberdeen has. The sheriff’s private association grows rich. The company doing the dirty work depends on intimidation and extortion to survive and thrive. The jails and prisons are choking with overpopulation, and everyone wonders how this happened. Oklahoma is open for business. Kendallia Killman is 48 years old, indigent, and the caretaker of her intellectually disabled adult son. They live on monthly disability payments of $543. In 2009, Kendallia Killman was fined for two misdemeanors. She couldn’t pay the fees and fines, and tried to negotiate an arrangement. In 2015, her file was turned over to Aberdeen, who told her that she had to pay a lump sum of $1000. She called Aberdeen and offered to pay $25 a month. Aberdeen hung up on her. This happened more than once. Now there’s a failure to pay warrant, and Kendallia Killman lives in constant fear of being arrested: “When these police departments sent this to Aberdeen, they took out the humanity part of it. … They took out having to see people and seeing the hurt and seeing the pain”. In Oklahoma, big money is made extracting impossible value from the poorest of the poor through an ever expanding ever intensifying system of constant fear and terror. That’s criminal justice. It’s time to shut the whole system down.